This is the final post on this project, how sad. 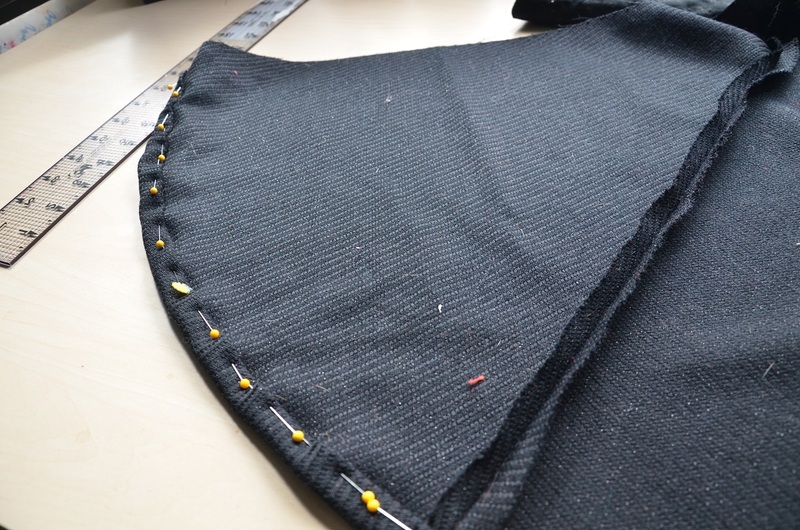 Today i’ll be talking about making the skirt, and the assembly of the garment. If you missed the first two posts about this project they can be found here and here! 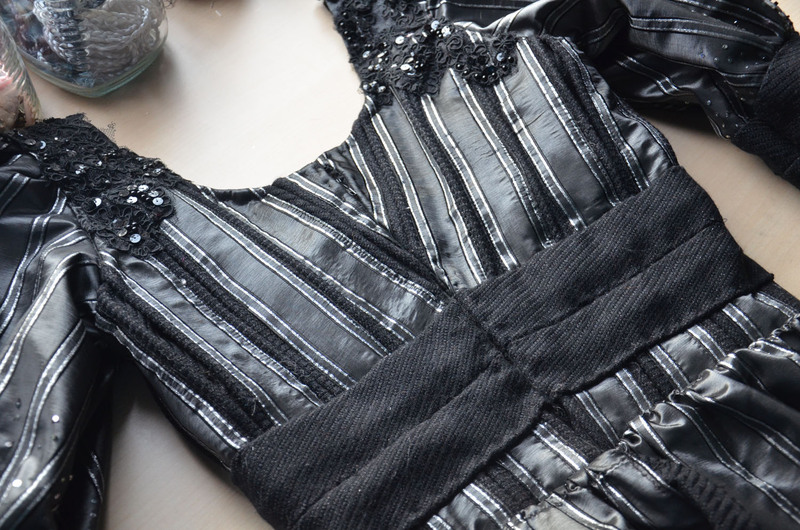 In the last post I had just completed the sleeves, so the obvious step is to attach those to the bodice. 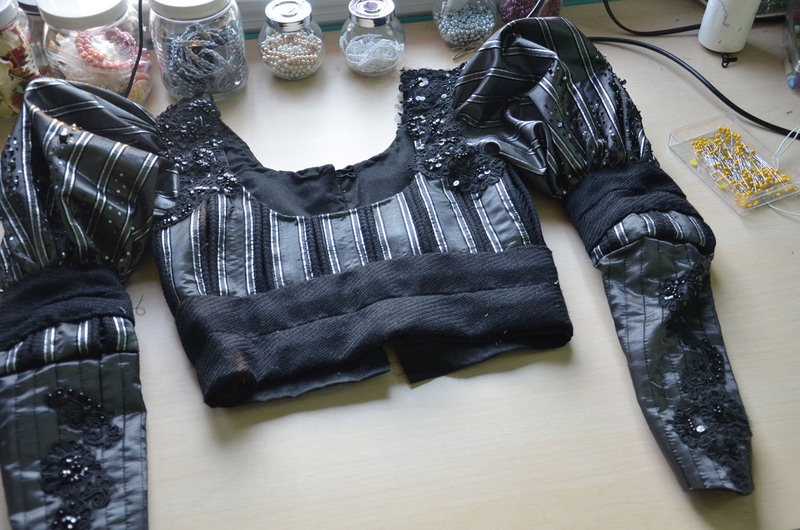 I gathered the sleeves down to the right size, then hand stitched them into place. 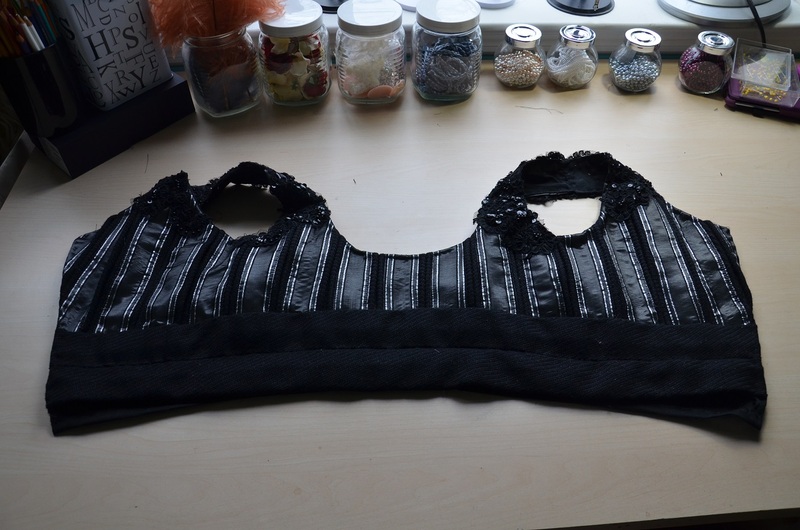 After I did that the work on the skirt began. 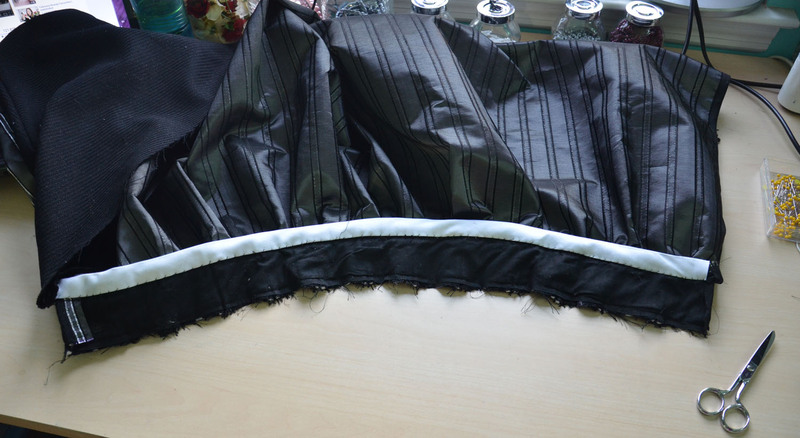 The skirt is relatively simple, it started out as a rectangle with a bit of trim for decoration, nothing difficult….or that was the plan. But I ran into a roadblock. 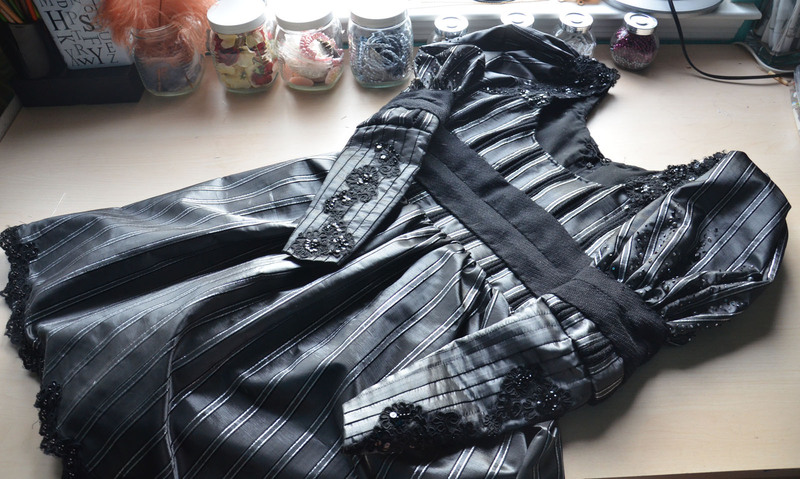 One that involves running out of fabric. 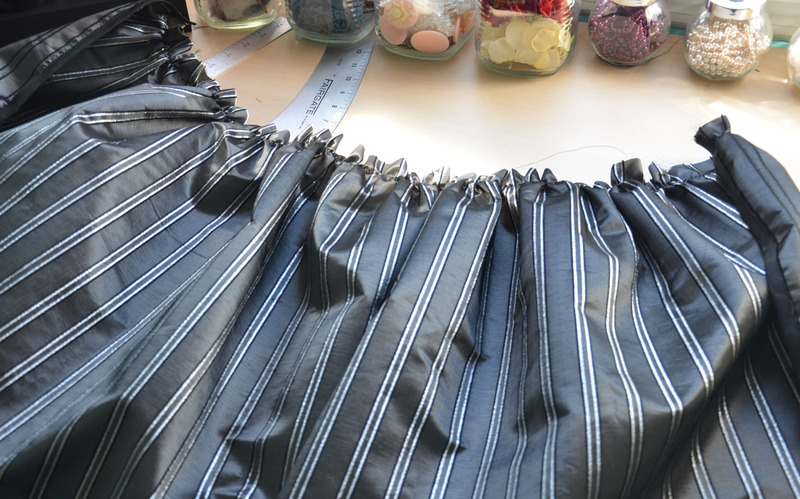 Usually my rule for gathering skirts is that you should have three or four times the length you want the finished skirt to be. 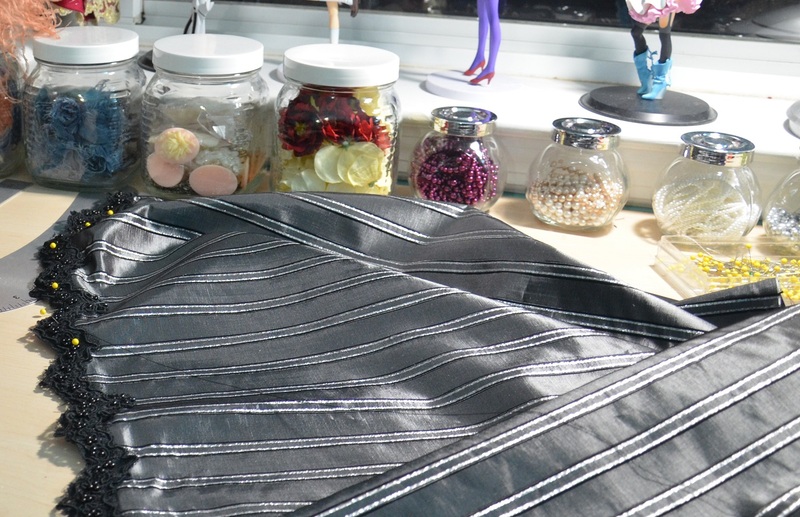 Since this dress lands at the waist, I wanted to have at least an eighty four inch length of material to make the skirt. But I only had a sixty five inches of fabric and two yards of trim, do you see a problem with that? I knew this wouldn’t end well, but I continued on like everything was okay. 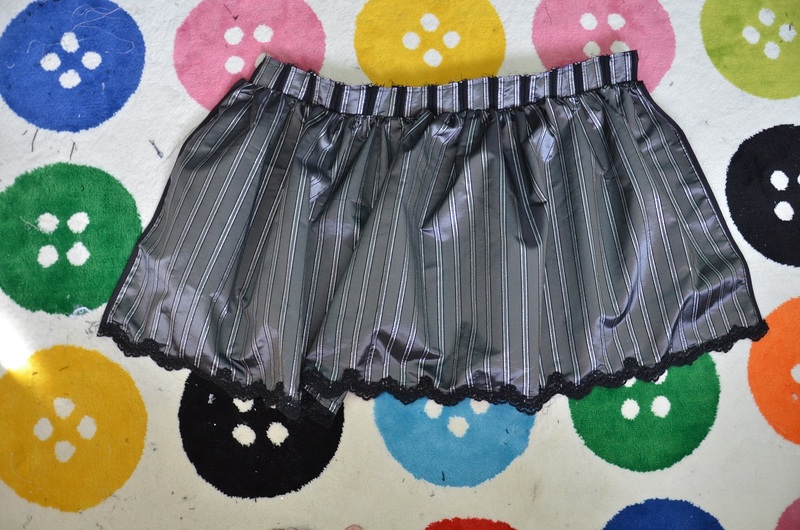 I cut the skirt, hemmed it, then sewed on the trim. 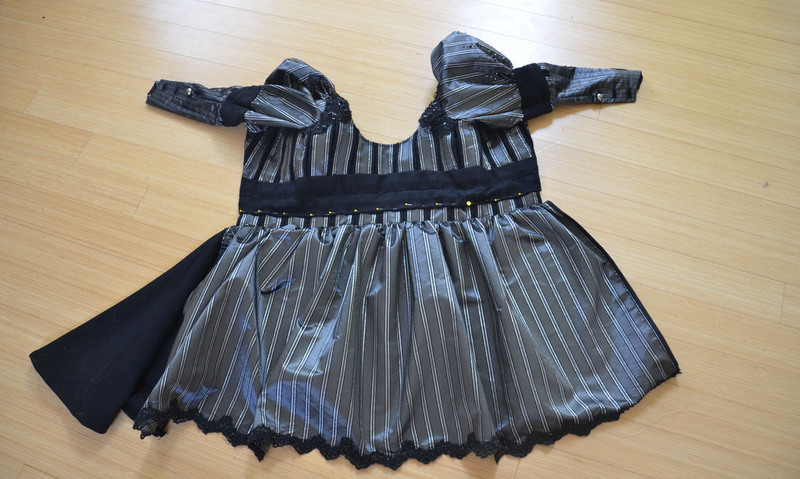 This took longer then it should have since taffeta is such a pain to sew through, it kept shredding and tangling my thread. But finally it was done! My dog has decided she is too good to sleep on the floor, please don’t mind her. Then I began the task of gathering. I did two layers of gathering to make sure everything was even. 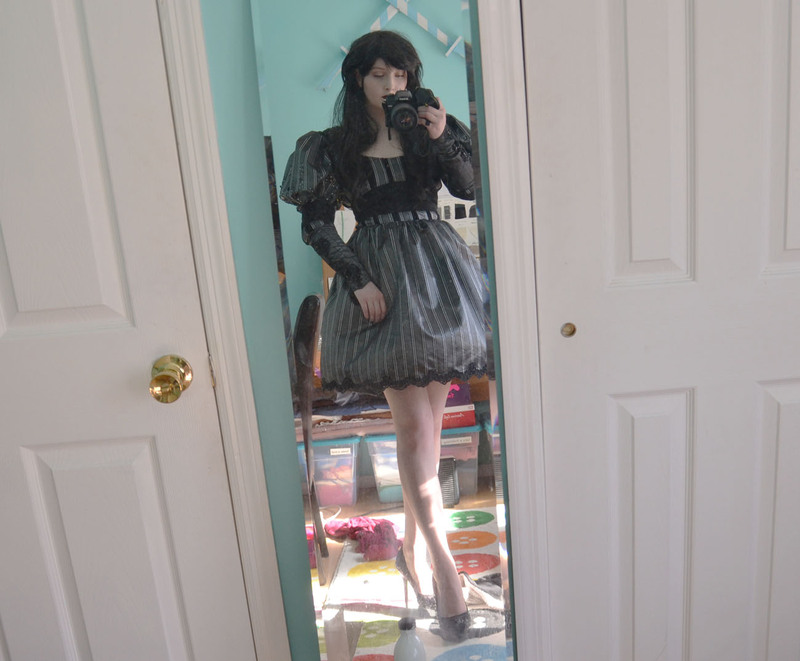 My previous experience with gathering taffeta were pretty disastrous so I spent a long time trying to get this to look right. 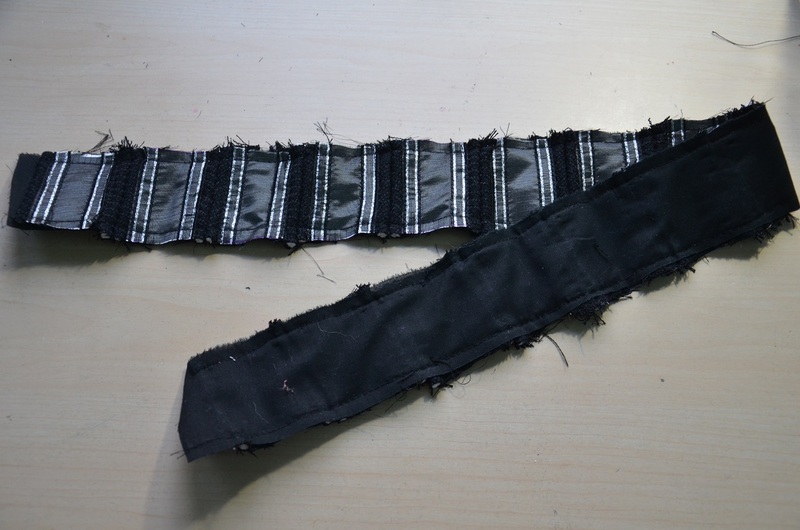 Then I made the waistband, created from leftover strips that were used on the bodice and sleeves. 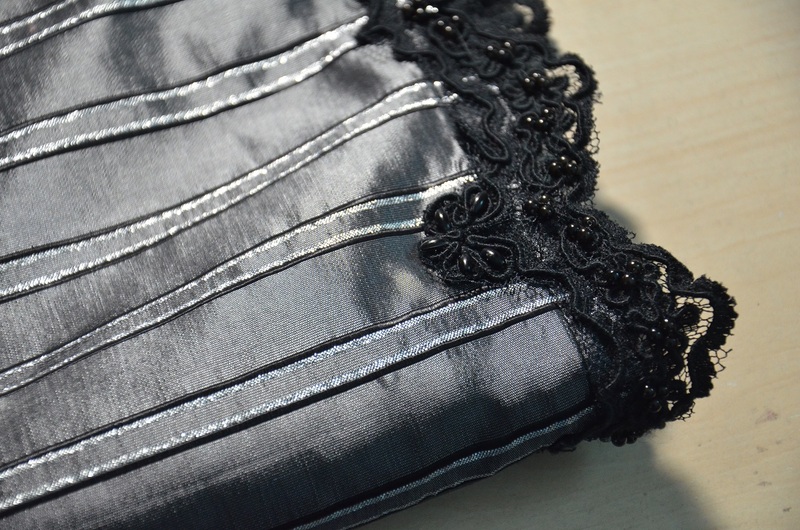 I sewed that onto the skirt. 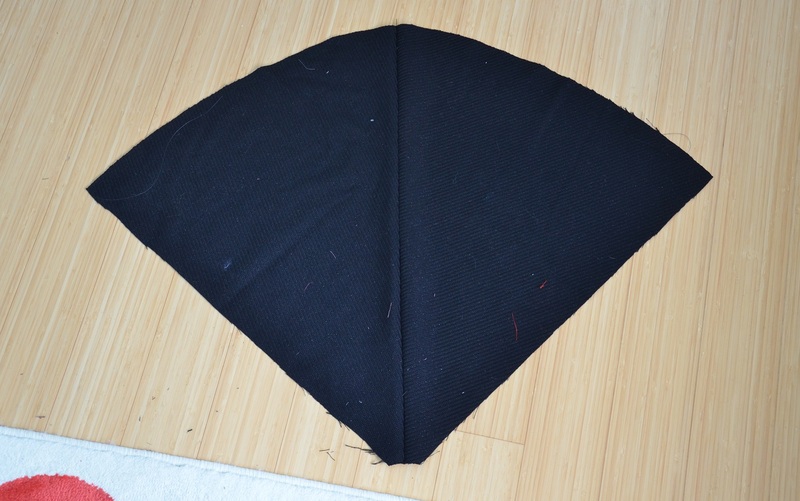 Then the raw edge was covered with bias tape. And finally I could try the thing on! Which I did, only to find out it looked terrible. I wasn’t surprised to find that the skirt didn’t have nearly enough volume. 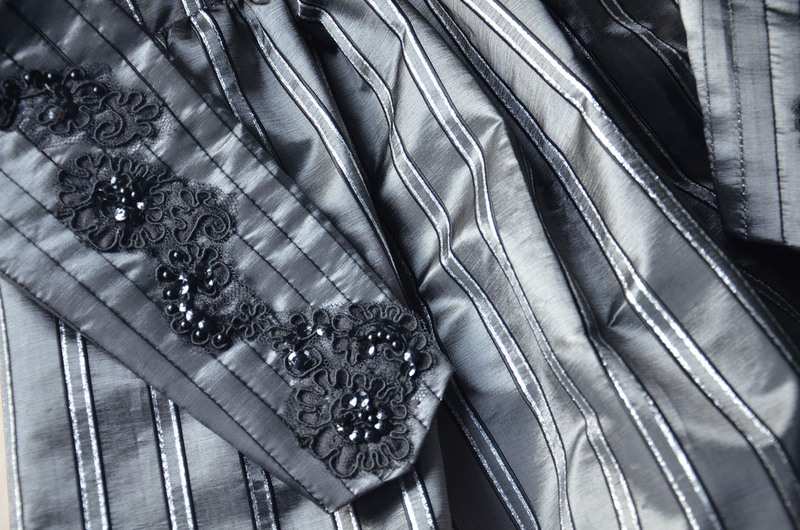 It looked very flat compared to the puffiness of the sleeves and I had no clue what to do – I was out of fabric and the trim used on the hem. I took a step back to think and let the frustration settle, and resumed progress a week later. I decided to add a 1/4 circle in the back of the skirt. 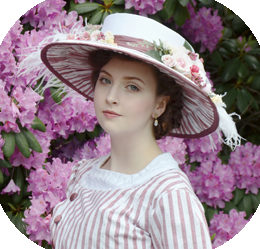 Though that wouldn’t give it any more volume at the waist, it would make the hem large enough that I could stick a petticoat under the skirt, which would at least make it more proportionate to the top. By some miracle, it worked! 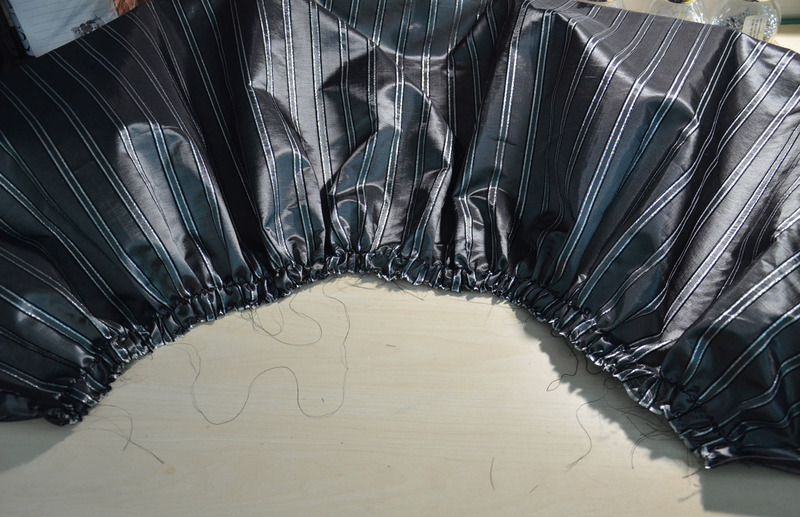 The skirt looked fine now so I continued on. 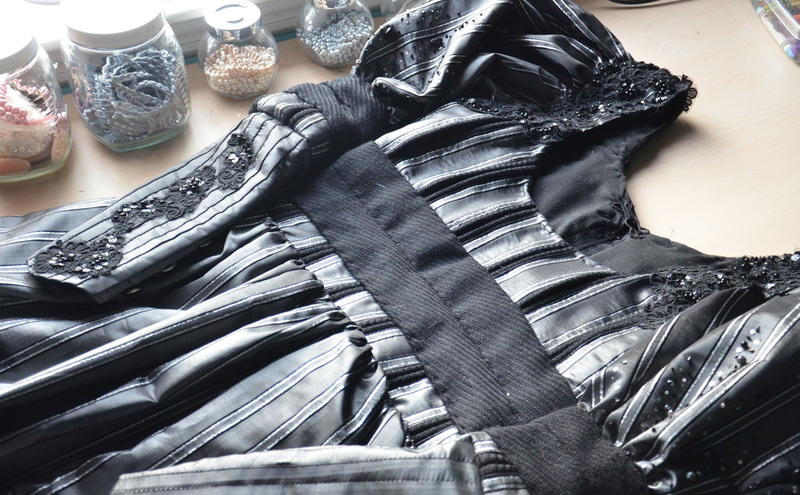 The next step was sewing the skirt to the bodice. 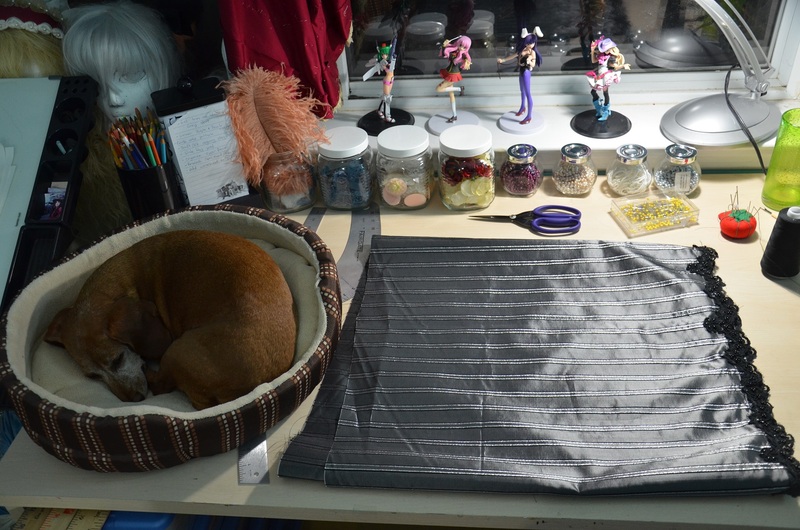 Once that was done I sewed up the back seam and stitched in a zipper and hook closure….And the whole thing is finished! I’m very happy it’s finished! With the roadblocks I ran into I seriously wondered if I would ever get it done. I’m really happy with the end result – I hope I can get the matching cloak done soon and share that with you all in the near future! Beautiful! It came out absolutely gorgeous! For some reason I just imagined it as a dress with a long skirt, but I really like how cute it looks with the shorter length. That is so cute! I just can’t believe how clever and artistic you are. You’re amazing. 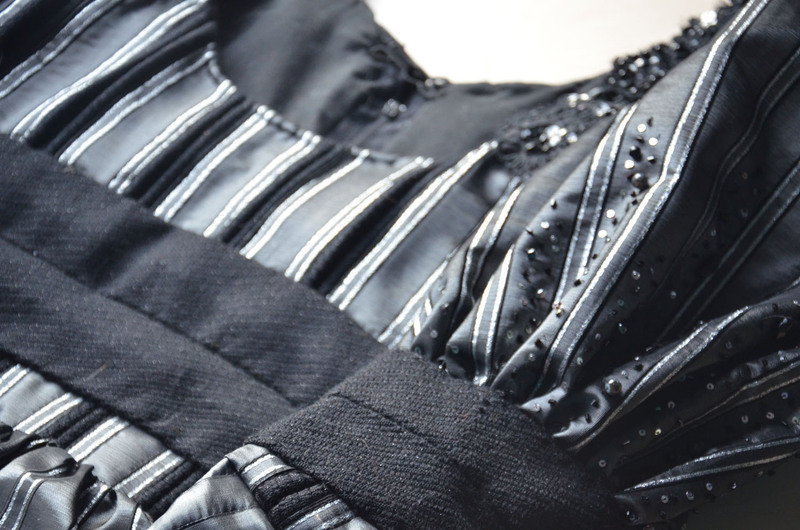 I just love how the sleeves turned out with that beading, it’s a lovely detail! i am learning a lot from you…great talent uv got!